Auraliya is a private villa designed with families in mind. 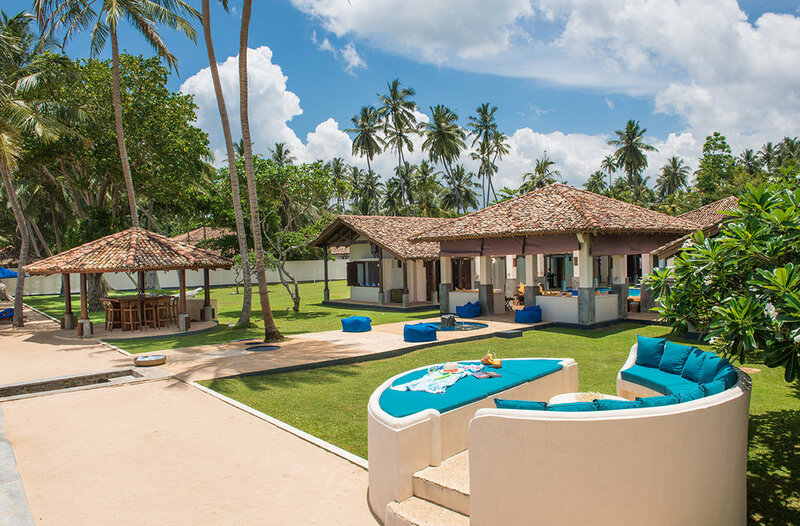 Located near the 127km post just 11km South of Galle, Auraliya is situated between the Galle Road and the idyllic Palutagaha beach. Two beach gates provide direct access to one of the prettiest and safest beaches on the Sri Lankan South West Coast, which boasts a protective natural reef. Auraliya was designed as a haven for families and friends and comprises six double bedrooms which can comfortably sleep twelve in total. The two seaside family suites contain double bedrooms with eight foot square family double beds, interconnecting conduit bathrooms and additional second bedrooms with king-size beds. These family suites are designed to enable families to have their children accessible via the interconnecting bathrooms though the additional bedrooms can just as easily accommodate adults. Towards the rear of the property are two further bedrooms; one on the garden side with twin beds and an ensuite bathroom, the other on the south side containing a king-size double bed and its own ensuite bathroom. The interior living area is completed by a living room with television and ensuite bathroom and a separate guest loo located off the front courtyard. 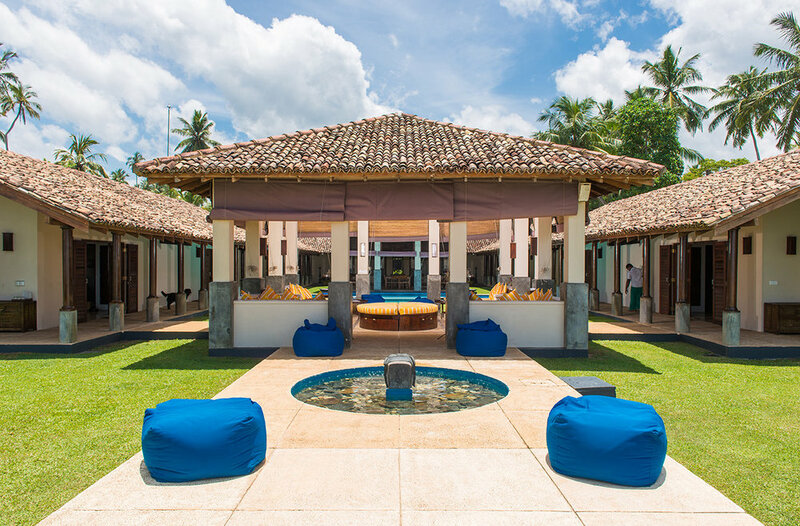 Two large pavilions sit either side of a cruciform swimming pool designed for toddlers, teenagers and adults, with shallow paddling areas in front of the two pavilions and stepped seating areas along the cloistered walkways down either side of the interior of the villa. The two pavilions include a large dining pavilion backing onto the courtyard and a sitting pavilion towards the seafront. A third breakfast pavilion with glorious sea views sits in the middle of the property. There are two additional seating areas; a raised seating area designed to capture the glorious sunsets and a second to provide a quiet retreat in which to relax. Within the property walls facing the sea is Auraliya’s own private plage, ideal for sunbathing or playing boules, together with a half acre garden allowing for a variety of ball games. For inquiries about booking or any other questions, contact us today and we will get back to you within 48 hours.